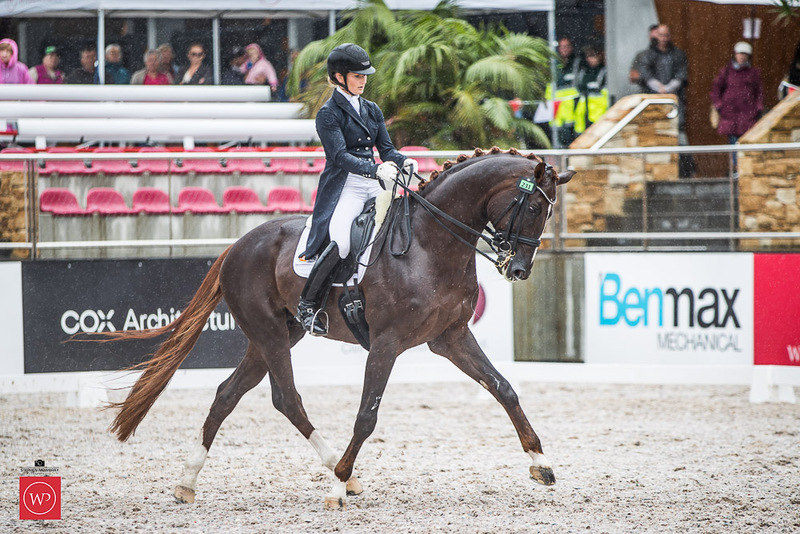 Twenty-nine year old Alexis Hellyer has made it a trifecta at Willinga Park CDI*** with a victory in the Grand Prix Freestyle today, after winning the Grand Prix and the Grand Prix Special on the NSW South Coast. 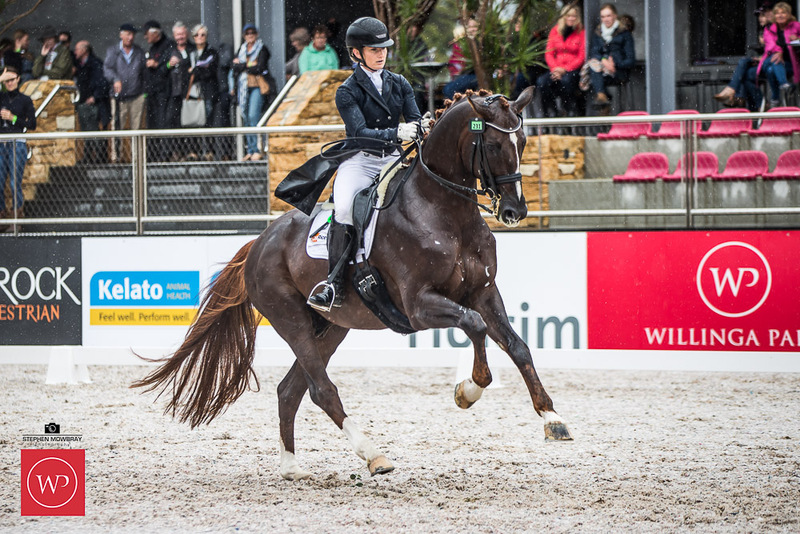 Riding the chestnut Bluefields Floreno, Alexis performed a mistake-free freestyle for a score of 75.53%. The 12-year-old stallion owned by JJ Fuchs was on top form today, with his pirouettes and passage highlights of the test. Hundreds of spectators braved the torrential rain to watch the Grand Prix Freestyle performances. Willinga Park owner Terry Snow said he is thrilled that Willinga Park has played host to high-scoring performances.